Michelle Styles joins us today to speak about her latest book, AN IMPULSIVE DEBUTANTE. This book is the sequel to her Victorian Christmas novel, A CHRISTMAS WEDDING WAGER. AN IMPULSIVE DEBUTANTE is officially published in the UK on 5 September. Carlotta Charlton can't wait for her first season--until her impulsive behaviour lands her right in the lap of notorious rake Tristan, Lord Thorngrafton! Tristan is cynically convinced that she's a fortune-hunter. But he can't keep away from her. Several heated kisses lead to scandal and, one outraged mama later, they're on their way to Gretna Green. Catching his breath on the carriage ride to the border, Tristan decides it's time that Lottie learns her lesson. If she wants to play with fire, he'll notch up his seduction and set her ablaze! Michelle, why did you write about Lottie Charlton? After all, she was not the most sympathetic character in A CHRISTMAS WEDDING WAGER. My daughter was absolutely taken with Lottie and demanded to know what happened to her. She thought Lottie deserved to have a happy ending. And I thought well maybe…Lottie since has become one of my favourite heroines. Among other things, she gave me the opportunity to explore one of my favourite fairy tales--King Thrushbeard. In case you don’t know it, it is where a spoilt and proud princess is married off to a wandering minstrel because her father has become tired of her high handed ways. The scenario suited Lottie’s personality and I loved seeing her find her inner core of steel. In the end, it was all about looking at life from Lottie's point of view and understanding the reasons behind her behavior. The book is mainly set in the Tyne Valley during the early Victorian period. It starts in the village where I live, Haydon Bridge. The churchyard at Haydon Old Church is wonderfully atmospheric. The church was abandon when the village moved down to be near the turnpike in the late 18th century. Then in the late 19th century, they finally realized what they had and saved the remains. A much smaller church now exists and they occasionally have evensong there. There is no electricity or heating, but it is magical full of candlelight. Did you choose the title? No, apparently it took my editors a very long time to choose the title. The working title was The Taming of the Debutante. The big sticking point was the word "impulsive." The title works for the story and debutantes appear to be popular with readers. I also had nothing to do with the cover or the Regency blaze. Such things are marketing decisions. At the moment, all I know is when it will be published in the UK. There are plans for it to be published elsewhere, but I do not know the publishing schedule. However The Book Depository has free worldwide shipping and does stock the book. You can also get through Amazon.ca or the Mills and Boon website. Currently I am writing another early Victorian. My editors are supposed to get their thoughts back to me about the third Viking--Ivar's story sometime in the next week. My next North American release is VIKING WARRIOR, UNWILLING WIFE in December. Michelle is offering a copy of AN IMPULSIVE DEBUTANTE to someone randomly drawn from the comments. To get the conversation rolling, Michelle would like to know: what is your favourite folk or fairy tale and why? I thought I'd do something just a mite different for this Thursday. Instead of a list of different weapons or fighting styles, I present a short list of links to various sites with information on weapons and warfare. And for even more, just Google weapons and warfare. One man changed warfare forever. Simply ask those who stood at the battle of Königgrätz, where in twenty minutes the Austrians lost 276 officers and 10,000 men. Brilliant military planning or did the opposing side, the Prussians, have something the Austrians did not? They did. They had Dreyse. Johann Nikolaus von Dreyse, a German working in a Parisian gun factory, changed the way wars are fought forever. He created the first modern breech loading military rifle. Prior to this, the flintlock musket was the state of the art weapon—accurate, reliable, but not without flaws. Dreyse's weapon standardized ammunition, utilizing a bullet, charge and primer in one. The musket loaders kept all parts separate. Having the cartridges in one unit greatly reduced the time needed to reload and yielded a higher rate of fire. Its interchangeable parts made it battlefield ready for maintenance and it could crank out ten shots per minute rather than three. It took Dreyse twelve years to perfect his design. It did have its early flaws. Its range was short compared to muzzled loaders. Gas escaped at the breech when the rifle was fired with a paper cartridge often causing the breech to close completely. Soldiers suffered burns as a result causing inaccurate aiming capability. The needle, or firing pin, also had a tendency to become encased in gunpowder causing it to break after 200 rounds. Soldiers had to carry two replacement pins with them as a result. An improved model with greater muzzle velocity and increased loading speed was introduced later, and in 1836 Dreyse made a move that would change warfare. He sold it to the Prussians. In 1848 the Dreyse Züdnadelgewehr, or Needle Gun as it was called due to its firing mechanism, revolutionized rifle design. In the Seven Weeks War of 1866 it proved its military might. Able to be fired from horseback and from a prone position it proved its worth in battle. The Austrians, who were offered the Needle Gun for purchase but declined, were still using musket loaders. Since the Austrians had to stand in order to reload—the Prussians were at an advantage. Four years later the Needle Gun met its match in the French Chassepot Rifle which had a greater range and more effective firing. Despite this, the Prussian forces were able to overwhelm the French during Franco-Prussian War (1870-1871). At conflict's end, the Prussians retired the Needle Gun in favor of the new Mauser Rifle. In my quest to experience as much of what typical upper-class Edwardians experienced, I enrolled in a fencing class this past spring. The duel is a popular concept in fiction--it was symbolic of honor, masculinity and justice. From the 16th century and even into the 20th, the duel and its sportier sibling, fencing, were held in high esteem. Though dueling was outlawed in many countries by the mid-nineteenth century, in places like Germany, the American South and in France, the Code Duello was the handbook for the settlement of offenses. No turning the other cheek here; an eye for an eye was the style. The cult of dueling was most prevalent amongst the officers and university students of Germany. One wasn't considered a man unless one had dueled and more importantly, suffered a wound (facial scars the most coveted). So revered was the duel, many German aristocrats opted to pay a doctor or surgeon to slice open his cheek or forehead, or create a wound on another part of the body, to impress both ladies and their contemporaries. However, no where was the duel more popular than in belle époque France. Nearly everyone dueled: politicians, artists, authors, journalists, etc, and apparently, over 200 were fought annually. In 1870, Édouard Manet challenged the art critic Louis Edmond Duranty after Duranty had written only the briefest of commentary on two works of art that Manet had entered for exhibition. The frustrated Manet collared Duranty at the Café Guerbois and slapped him. Duranty's demands for an apology were refused and so the men fought a duel with swords in the forest of Saint-Germain three days later on the 23rd. Émile Zola acted as Manet's second and Paul Alexis acted for Duranty. After Duranty received a wound above the right breast the seconds stepped in and declared that honor had been satisfied. The men remained friends despite the encounter. In 1897, the frail, reclusive Marcel Proust challenged the effete gossip journalist Jean Lorrain to a duel when the latter, under the name "Raitiff de la Bretonne" insinuated that Proust and the young son of Alphonse Daudet were having an affair. For his seconds, Proust chose the painter Jean Beraud, and Gustave de Borda, whose dexterity and finesse in so many duels had earned him the nickname "Sword-Thrust Borda," while Lorrain chose painter Octave Uzanne and the novelist Paul Adam. When a meeting between seconds could not come to an agreement, the duel was arranged to be fought with pistols on Saturday, February 6, in the forest of Meudon, just ouside of Paris. Proust's primary worry was not the bullets, but having to rise, dress and go out in the morning. Thankfully, his seconds were able to arrange an afternoon confrontation. In the end, the pistols were discharged in the general vicinity of one another (though Proust apparently aimed at Lorrain, for the bullet hit the ground next Lorrain's right foot), and honor was satisfied. ...that a new class of single, professional women practice permanent sexual abstinence and adopt the title "Mademoiselle" as an exalted expression of the "purity, independence, and pride" attached to the state of virginity. Ly insisted that only by breaking the psycho-sexual chains that bound them to men could women hope to achieve sociopolitical and legal autonomy. Emphasizing the relevance of celibate singleness for the French women's movement, Ly affirmed that "more and more, we will recruit the elite of our adepts and militants from these noble freethinkers, these inspiring rebels" who were not legally "under their husbands' authority" or otherwise restricted by familial obligations. ...old maid's hatred for the man who never desired her, an anticipated disgust of men due to an overly-exclusive love of women (Lesbos stood in for Cythera many times), a morbid aversion felt by the de-sexed neurotic, cerebral over-excitation due to the abuse of anesthetics, or more simply, the affected attitude of the politicienne. Ly's challenge was further ridiculed and Casale felt secure enough in his opinion, which was supported by the majority of people who wrote in to the newspaper, to ignore it and continue his abuse of Ly and other "voluntary virgins" who were depicted--naturally--as shriveled, wrinkled old women. The duel is now generally seen as a romantic gesture, a relic from the Victorian era to be snickered at. But the practice was taken very seriously by all involved and even into the 20th and 21st centuries, the duel is considered a proper--in fact, the only manner for a gentleman-step towards solving insult. This week we're talking to Delia DeLeest, a long-time contributor whose book EYE OF THE BEHOLDER is now available in print and in Kindle. Today's she's joining us to discuss the Roaring 20s and to give away a copy. A marriage of convenience isn't what Adeline Pierce had in mind for her life, especially since she was practically engaged to the man of her dreams. But, time is running out for her critically ill brother, who needs to move to a warm dry climate or face certain death. A move of that magnitude requires a lot of money--money her family doesn't have. When Will Denning, a man physically and emotionally scarred from his time in the trenches during World War I, offers her family the money they need in exchange for her hand in marriage, she feels she has no other option. Learning to love Will is hard enough, but it's made even more difficult by the fact that her former love is determined to do whatever it takes to drive them apart, including murder. There's a variety of reasons why I write books set in America in the 1920s. Most people know very little about the Jazz Age, and what they do know mostly comes from gangster movies. But the 1920s are so much more than Al Capone and bootleg whiskey. It was a fascinating time to be a woman in America. All the old rules and restrictions were thrown out the window and not only women, but the population in general experienced a vast new freedom unknown in previous generations. Corsets and high-buttoned shoes were discarded, replaced by knickers, tube dresses and brassieres. Couples were no longer required to sit nicely in father's front parlor, but had the freedom of the road to go to dance marathons, silent movies or to just park on some deserted road and neck. People no longer had to work from dawn to dark to feed themselves. The ordinary Joe had something he never did before--free time. Time to watch Douglas Fairbanks swashbuckling his way across the silver screen, to go on car trips around the country or to take part in some of the ridiculous fads sweeping the nation, like flagpole sitting and dancing the Charleston. It was also a time of great political upheaval. President Warren Harding brought in the decade with one of the most corrupt administrations of all time. He was followed by "Silent" Calvin Coolidge, known more for his dry one-liners than any political stance he'd taken. Then, there was poor old Herbert Hoover, the man many blamed when the excesses of the decade came crashing down around the country's ears in 1929. The Teapot Dome Scandal, the Red Scare and the Ku Klux Klan all had their names emblazoned in the headlines of the nation's newspapers and tabloids were filling the country's previously unknown need for sensationalized gossip. With all this excitement going on, instead of wondering why I would write things set in the 1920s, maybe we should be wondering why more people don't. Tell us about EYE OF THE BEHOLDER. After falling in love with Gerard Butler's Phantom of the Opera, I started wondering how I could bring the Phantom to the 1920s, and William Denning was born. Injured horribly during WWI, Will returned back to the US, only to watch his family die in the influenza epidemic of 1918. Alone and shunned by society, he became a hermit. It was only his desire to keep the Denning name alive that made him leave his sheltered existence and search out a wife. Desperate for the money needed to keep her sick brother alive, Adeline Pierce reluctantly accepts the marriage proposal that is more like a business proposition. Leaving her family, and the man who loves her behind, she goes to make a married life with the lonely, bitter man who became her husband. Once in the house, she closed the door securely behind her, then watched out the window as the car sat there for a minute, then slowly pulled away. She jumped about a foot when her mother's voice came from right behind her. "Where have you been? We were beginning to worry about you. Was that a car dropping you off?" Her father entered the room and she tried casually making her way around him and up the stairs to her room before she could be questioned further. It didn't work. "Who were you with?" Her mother asked. "Was it Mic? Why didn't he come in?" "No, it wasn't Mic." She tried to escape once again, but her father put a hand on her arm and stopped her. "Who were you with, Adeline?" "William Denning," she muttered as she studied the floor. "William Denning? The man who gave us that insulting offer? What were you doing with him?" Her father's voice was ratcheting up to a roar. "Oh Adeline, you didn't." Her mother looked at her in shocked dismay. "We're getting married Friday evening." Dead silence filled the air for about fifteen seconds, then her father exploded. "Absolutely not! I refuse to let you marry that man, no matter how bad we need the money. You will not sell yourself off just so we can pay a few bills." "It's more than a few bills and you know it, Daddy." She looked up from the floor and into her father's eyes. "This is a matter of Jimmy's life." "But this is marriage, Adeline, a lifelong commitment. You'd be sacrificing your life, your chance for happiness." "I have the ability to help Jimmy, to give him the climate and medical care he needs to live. If I denied him that for my own selfish reasons, do you think I could ever be happy anyway?" Her throat grew tight with unshed tears as she pleaded with her eyes for her father to understand. "Refusing to marry a complete stranger is not a selfish reason. I can't let you--"
"Please Daddy, I'm an adult, making an adult's decision. Let me do this." The tears won their battle and sprung into her eyes as she looked at her father. "I'm scared enough the way things are, please don't make this harder for me." Thanks for stopping by, Delia. If you'd like a chance to win a print copy of EYE OF THE BEHOLDER, leave an answer to the following question: what comes to mind when you think of the 1920s? A winner will be drawn at random next Sunday. Good luck! It is 1703, and Rachael Penrose is confined to Bedlam Insane Asylum in London after discovering her uncle Victor plans to kill her brother in order to inherit the family fortune. Victor leads a gang of criminals and uses French privateer/smuggler Sebastién Falconer as the scapegoat for his crimes. When Victor spreads the lie that Rachael informed the authorities of Falconer's smuggling activities, Falconer vows revenge on the girl. A dangerously ill Rachael finally escapes from Bedlam, only to find shelter in Sebastién's carriage and ends up in his care. It is a twist of fate that will alter both their lives forever. Believing she is in danger from Sebastién, Rachael meets up with his estranged twin brother, Jacques, a customs officer intent on bringing his brother, the famous privateer, to justice. But the real criminal is still at large, and she and her brother are still in danger. Will she discover the truth and save both their lives...and her heart? Michelle Styles writing is easy and compelling to read, her characters are fleshed out well and as always she has an eye for accurate, historical details. She does not overwhelm you with lots of supporting characters and difficult storylines. She keeps it straight and light to read and makes sure that at all times the romance takes precedence. That does not mean that her stories are shallow or common, Michelle Styles gives her stories depth by making her characters undergo changes and grow stronger throughout the story. Marianne LaCroix has decided to drop from our ranks of Unusual Historicals contributors, as she's no longer writing historicals. Best of luck to you, Mari. Join us Sunday when Delia DeLeest, one of our long-time contributors, will discuss EYE OF THE BEHOLDER, and give away a copy--which is now available in print! Many of us were raised on James Bond movies, especially loving all those cool weapons he had in his arsenal. There is always some truth to fiction, and in World War II, secret agents needed secret weapons. Weapons that were imaginative, easy to carry, easy to hide and use. For the OSS alone, scientist and inventors enthusiastically invented over 25,000 items, many successful. 1. Guns that were silent and flash less were favored by OSS agents. Scientists muffled 90% of the noise of a standard issued .22 caliber pistol simply by adding a baffle of wire mesh to the barrel. This slowed the escape of gas released in the firing. 3. "William Tell" was a crossbow intended to eliminate Japanese sentries and watchdogs in the Pacific. 4. One concoction, used to ignite oil, was named "Paul Revere" because it worked well for oil tanks on land, as well as oil slicks at sea. 5. Another device, a firecracker that stimulated the noise of a bomb, was used for distracting soldiers in a crowd, allowing for agents to escape. The inventor named it "Hedy" for the movie star, Hedy Lamarr...since she created a panic whenever she went. 6. There was the "Bushmaster," an eight-and-a-half inch tube clipped to a tree branch, set to fire a bullet at a specific moment. The purpose: to provoke the enemy to fire back and reveal his position. 7. There were many types of sharp objects invented. The "Smatchet" combined a heavy solid metal pommel with a machete-like blade of high tempered steel. 8. Another sharp object was a spike that an agent could strap to the arm underneath his clothing. One thrust to the eye or ear could kill the enemy. 9. The British developed a specially designed dagger for their women agents. It combined a pick-like blade with a contoured hand grip to add more power to the thrust. 10. A cool fountain pen (no ball point pens in WWII) was redesigned to fire a dart no bigger than a record-player needle. The dart's range was forty feet. 11. The OSS had the "Matchbox camera", a camera disguised as a Japanese or Swedish matchbox. 12. Specially designed latchkeys carried microfilm messages between Britain and German-occupied Denmark. Microfilm was sealed inside a hole in the key's oval handle. 13. Not all inventions made the grade. One of the craziest projects that backfired was to employ bats as arsonist by attaching walnut-sized bombs to their wings! During the testing process, several buildings were burned down to the ground! Like an eagle with wings beating. It is impossible to think of the Vikings without thinking about their raids and most importantly, their ships. For the Vikings, their ships were more than transportation, they were the reason of their being. The vast majority of their sagas use ship imagery and revolve around the ships and their raids. To be a Viking warrior was also to be a sailor. The reason for this lauding of all things nautical is simple. Because of the difficulty of the terrain, most of the commerce and transport was done by boat. The Nordic people in order to survive had to trade, and to trade over long distances. And the greatest warriors were afforded ship burials. The Viking dragon ship or long boat did not emerge suddenly, but was a series of technological innovations. The earliest Nordic boat discovered, Als Boat, dates from around 350BC and was basically a canoe with a a dug out lime tree as a base and two planks and was designed to be paddled. Although we know the Romans and Greeks used rowers, the earliest Nordic boat displaying this feature, so far discovered dates from around 400 AD. The greatest ship burials--the Gokstad Ship and the Oseburg ships--have not only given us the most accurate information about the lifestyle during the early Viking period, but also information about the ships themselves and why they were so effective. It is the combination of the sail and the oars which gave the long boats speed and maneuverability. During raids, there is a theory that the boats carried two crews--one to row while the other one rested. This is because the Gokstad ship had 32 oars, but was hung with 64 shields. There are, however, no benches and it is thought that the oarsmen perched on their sea chests. The narrow hulls twisted and turned on the sea, like a serpent. Indeed, the prows of the ships were adorned with detachable dragon figureheads. In the Oseburg burial chamber, a number of the figureheads were discovered. The ships had relatively shallow draughts and this enabled the Vikings to sail up rivers and to land their boats without harbours. Thus various rich inland cities such as London became targets as did places like Lindisfarne which did not have the anchorage for war ships. The steering oar was always on the right side of the boat and hence the reason for the word--starboard. The old Norse word is styra and means to steer. But how good were the boats? In 1893, a replica of the Gokstad ship took 28 days to sail from Bergen to Newfoundland Canada. The men who participated in the voyage recorded that the hull twisted and turned like a serpent, and this aided the quick crossing. The boat became the toast of the Chicago world fair, and apparently today is in a park at the Chicago Zoo. The long ship was the secret to the Viking success--swift, responsive to the oarsmen and able to land warriors as and when the Vikings wanted. They were the engineering marvels of their time and gave the Vikings added advantage in their preferred method of warfare--raiding. The causes of the English Civil War were complicated and diverse. Poverty, Puritanism, unrest and the growing dissatisfaction of the general populace against the Monarchy to name just a few. However, when it did start, how many everyday soldiers knew anything about these causes, or the machinations behind the scenes? For them it would have been a daily misery of mud, dirt, lice, bad food, long marches and the fear of whether they would be ambushed--or what the outcome of the next battle would be. In fact, even many of the ordinary folk didn't even know that there was a war on at all, contrary to the belief that the entire country was split into two. There's a famous story that a farmer was asked permission to use his field for a battle and he asked "Who's fighting who, then?" When I was researching this for my novel TRANSGRESSIONS, I found it a particularly difficult time to research satisfactorily. Not because there weren't any details on the war, there were, The internet is stuffed full of information. There are hundreds of books on the war. However, the main problem I came up against was that it was difficult to find any details on the ordinary person's life of the period. I could find details of battles, names of generals, every minute detail of the uniforms throughout the entire war but there was little nitty gritty when it came down to what people ate, what houses they lived in, how much they earned--that sort of thing. So I angled the book from a poor man's point of view. A young boy who wants to join up to escape his father's boring farm, and to get a bit of excitement. However--when he does--he soon finds out how little glamour there is. He finds it just as boring as being at home. To load a matchlock musket for example took around 40 separate operations to load it, and there picture manuals demonstrating each move. A rather gruesome video. Note that the wooden powder charges he wears on the bandolier around his body were called Apostles, because there were 12 of them. They were made of wood, too, and were really unsafe things to be wearing in battle. Many a man was blown to pieces if his match touched the wrong place, or he was hit by a bullet in the wrong place. Cromwell addressed this problem when he created his New Model Army, and changed the carrying of powder to being wrapped in pieces of waxed paper, a tradition that continued for hundreds of years after. Here's a little snippet from TRANSGRESSIONS about the training. On the third week the drills moved on to wheeling and counter-marching. Apart from being massively boring, it was also complicated and difficult for the Sergeant to explain a move that enabled the swift relocation of some three hundred men, when he only had between twenty to thirty to demonstrate with. The Sergeant was not a patient man, and he did not explain manoeuvres well, and the more the recruits got it wrong the more incoherent he became. For wheeling on an angle, the line had to close up close to the men either side, look to the direction of the wheel, (either right or left) and shuffle around in that direction until the line was pointing in the appropriate direction. This did not take long with the small number of soldiers David practised with, but David could only imagine how long a full line would take, all the time having their muskets out of action and vulnerable to the enemy as they shuffled helplessly in a semicircle, with nothing but pikemen to keep the enemy at bay. At first they were hopeless at it, and Sergeant's Winter's screams of "Watch your dressings" were all that could be heard as the line buckled and bent, lost shape and direction, or forgot to look the opposite way to which they were pressing, but after days of dizzying and tiny steps they accomplished it well enough to stop their Sergeant from dishing out punishments. Then they had to master centre-wheeling, which was worse, as the pivotal point became the soldier in the very middle of the line, and the column spun around him. The significant difference was that whilst one half of the unit was marching forwards, the other half was moving backwards and the first time they tried it, it was utter chaos. It was after a day of constant angle wheeling, which they just about mastered and Winter had explained the new manoeuvre so badly no-one understood it and no-one dared to ask him to repeat himself. Consequently everyone went in opposite directions; half the troop tripped over the other half and most ended up on the ground, helpless with laughter. Needless to say, most men were on punishment detail that night, including David, which surprised no one. It is ironic to note that, other than to show how well trained your brigade is, the act of countermarching is considered to be completely useless on the battlefield. For further reading, I highly recommend The Knowledge Base of the Sealed Knot without whose inestimable help, the book would not have been written. On November 27, 1095 at Clermont in France, Pope Urban II inaugurated the bloody period of history known as the Crusades, with the rousing cry, "Deus vult" meaning God wills it. Knights, nobles and ordinary citizens of France, Germany and Italy were first to respond, mobilizing to re-take the Holy Land from its Muslim rulers. With each military campaign, stretching from the First Crusade of 1095-1099 until the thirteenth century, the European armies enhanced and perfected their use of siege weapons. Such devices had existed since ancient times, but with the development of stone castles and citadel walls, an attacking force needed powerful weapons to breach enemy fortifications. Sieges could seem like never-ending contests of wills. At varying stages, the defenders of the Holy Land lost or held out against increasing attacks by the Crusaders. For both sides, morale as much as an adequate supply of food and water determined the outcome. Neither would have wanted a prolonged siege, risking desertion, disease and the loss of resources. Most sieges began after an unsuccessful attempt to take an area. After negotiations for surrender failed, each side had ample time to prepare for a siege. For the Crusaders, it meant assessing the weakest section of a defensive wall, but it also allowed those behind the wall time to prepare. There were three methods to breach a site; to tunnel under its walls, climb over them or to knock them down. The sandy ditches around citadels in the Holy Land didn't always allow the attackers to undermine walls at their bases, so that often meant going over them or through them. During the First Crusade, Christian armies relied on towers. At the seven-month Siege of Antioch (October 1097-June 1098), the Crusaders used three towers in their attacks against this Syrian city. Under the control of Byzantine Emperors for centuries, Antioch fell to the Muslims in 1085. Its capture would allow the Crusaders to move on to their ultimate prize--Jerusalem. Constructed of timber, and mobilized on wheels or rollers, the rectangular siege tower allowed attacking armies to advance on a defensive castle wall, under some protection from enemy arrow fire. At the site, engineers built the towers to an equivalent height of the wall their army wanted to scale. Inside, there were several storeys, reachable by ladders. They covered the wood with animal hide to protect from flaming arrows. The army pushed the tower toward the wall and when it was judged close enough, they extended a platform to abut the wall, allowing them to rush across the top of it, or to scale ladders to its height. Archers inside kept the defenders from getting too close, but not always. Antioch did not submit to the Crusaders because of their siege; it fell by treachery from inside the walls. 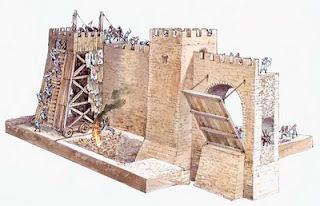 The European armies recognized that siege towers were vulnerable to fire and determined defenders could quickly put an end to any intrusion by setting them ablaze. They needed another way to breach enemy walls while minimizing the casualties sustained in an attack. One method of doing so involved the refinement of the ancient catapult system to batter down walls. Two types of artillery weapons were particularly important in Crusader assaults on the Holy Land; the mangonel, primarily a stone-throwing machine and the counterpoise trebuchet, which used gravity and a sling method to hurl any kind of projectile. Both siege machines had their origins in earlier history but were used to devastating effect in the medieval period. The mangonel had a bowl-shaped bucket at the end of its wooden throwing arm and maneuvered on wheels. Ropes attached to the arm were twisted to provide the torsion. An attacker placed projectiles, usually stones, into the bucket from which they were thrown up to a distance of over a thousand feet. But the mangonel had its limits. The amount of weight used was limited by a person's strength and this in turn, reduced the damage that might be done . The counterpoise trebuchet eliminated this problem. While the mangonel's design allowed it to smash through masonry or rock, the trebuchet's projectiles were sent through walls or over them. 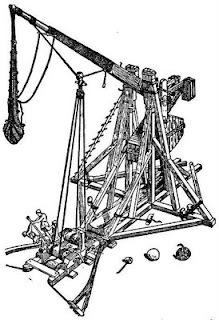 One of the most accurate developments of the catapult system, the trebuchet had a greater throwing distance and was more powerful than the mangonel. With its sling and arm swing mechanism, armies used the trebuchet to terrify their enemies, including hurling dead animals or people over the walls. At the Sieges of Acre and Jerusalem, the Crusader kings relied on these devastating machines of warfare, giving them nicknames, "Bad Neighbor" and "God's Own Catapult" as they sought to wrest further control of the Holy Land from the Muslims or keep the regions they captured in earlier warfare. Siege weapons were costly and required skilled engineers for their design, a sizable force for their construction and dismantling, and the materials for building them. Their use shaped the balance of power in the Middle Ages for centuries until the introduction of more advanced methods of warfare. EVA S (WYDECOMBE MANOR) and DELIA (YOU CAN BANK ON IT)! Contact Jeannine to give her your address. Books must be claimed by next Sunday or another winner will be drawn. 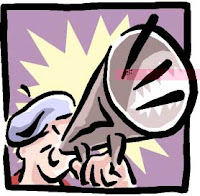 Please stop back later to let us know what you thought of her book! Congratulations! This week we welcome the return of long-time contributor Anne Whitfield, who's celebrating the release of her newest work of historical fiction, WOODLAND DAUGHTER. A new century brings change to the carefully ordered world Eden Harris maintains--change that threatens all she holds dear. Despite years of devoted service to the Bradburys, the leading family of the community, Eden hides a secret that would affect them all, a secret shared only with her husband, Nathan and grandfather. Then an enemy returns, shattering her world and exposing her secret. Torn and provoked, she strains to protect her family until a devastating accident robs her of Nathan, and she is alone and frightened. As the threat against her grows, Eden takes her precious daughters and flees from the country estate and the cottage she's called home, to live amongst masses in York. What is WOODLAND DAUGHTER about? This is the first book I've written set in the early Edwardian era of England and I thoroughly enjoyed writing it. Another 'first' for me is writing a book where the heroine is married and a mother at the start of the book, that made a wonderful change for me. WOODLAND DAUGHTER is only available in hardback, but it is worth it, I promise you! Eden's story is a lovely one, full of the ups and downs of splitting her life in two, her home life and her working life. She often finds that the two threads entwine and become one. Do you ever run out of ideas, or suffer from 'writers block'? No, I never run out of ideas. It's more a case of not having enough time to write all the stories that are in my head! I don't suffer from writer's block in any real sense. Sometimes I'll write myself into a corner and realise, nope this isn't the way to go, so I'll read over what I've written and chop and change things to get the flow back working properly. My first drafts are usually the bare bones of the story and second drafts are when I start adding all the padding. A few months ago I finished a romantic comedy which I hope will sell to a publisher, and currently I'm writing a Victorian era historical novel set in Australia and based on a governess scheme that sent governesses to Australia, but not all the women who came out had an easy time of it. I've also got a historical short story simmering away too. My current routine is to write from 9 am to 3 pm weekdays, while the kids are at school. If I have editing deadlines, I'll do that anytime, but mainly during the day while the house is quiet. On the weekends, if I have spare time, I'll do what promoting I can, plus do all the chores like updating blog and website, etc, that I didn’t get done during the week. I'm pretty flexible thankfully, but I do get frustrated if I don't accomplish enough during the day. What books do you have out now? The light started to fade and the ominous dark clouds that threatened rain all day seemed to lower even more. They sang together as they left the village and headed south over the fields and common, keeping parallel to the raging river. Its swollen contents flowing swiftly due to the recent rain, dashed against the banks and filled the air with rumbling noise unlike that of thunder. "I'm thirsty." Lillie yawned in Nathan's arms. "Can we get a drink from the river?" "No, it's not safe at the minute. It's flowing too fast." Nathan dropped her to her feet. "You'll have to wait until we get home and we'll have to be quick. It looks ready to bucket down." A fat drop of rain landed on Eden's nose. "Bother! We won't make it. It's starting to rain." They rushed under the shelter of trees that lined the bank as a loud clap of thunder pounded overhead. The girls squealed, covering their ears. Nathan frowned. "We're going to get wet," he yelled over the rush of the river behind them. "Thankfully, we don't have much further to go." Pulling the girls close, for the temperature had dropped, Eden nodded to Nathan and they continued walking, but quietly now. Yawns and shivers had replaced the singing and laughter as they trudged through the long grass on top of the bank in the grey light. Lightening forked across the sky and at the same time the first deluge of rain hit them. Its coldness made them shiver even more and Eden worried about the girls or Nathan catching a chill. Ahead the wood loomed through the clouds and she sighed with relief. Not long now and they would be in the warmth of the cottage. Out of the corner of her eye, Eden caught sight of movement. She paused in her step and turned just as Clifton yanked his horse to a sliding halt a few feet away. His approach had been silenced by the roar of the water. "What are you doing here?" She snapped, wiping the rain from her face. "Go away!" Nathan spun around, his eyes widening. "Clifton!" He dragged Josephine behind him, putting distance between her and the fiend on the horse. Clifton dug his heels into the horse's flanks, urging it closer to Nathan. "I'm not here to cause trouble, Harris. I just want to have a look at my daughter." Eden didn't know whether she would faint or scream with fury. Her anger won and she lunged for Clifton's leg, wanting to rip him from the saddle. "Why can't you leave us alone! You'll never have her, never." The Colonel's spirited hunter spooked, side-stepped and threw its head, giving Clifton a job of controlling it. Eden hung on, dimly aware of Nathan behind her and Clifton using his riding crop across her shoulders. "Let him go, Eden," Nathan yelled, but she was past heeding him. She gripped Clifton's trousers and tried yanking him down. He kicked out at her but his actions scared the horse and it plunged forward towards Nathan and the girls. With one swoop of his arm, Nathan knocked Eden away from the horse and she landed with a thump on the wet grass. The girls scurried across to her, crying, the rain plastering their hair flat on their heads. She held them close, watching as Nathan battled Clifton. The horse reared when Nathan tried to grab the reins, unseating Clifton and with a bone-jarring crack landed on the ground and laid still. "Oh good lord." Eden scrambled on her knees over to him. "Is he dead?" she cried at Nathan. Nathan knelt beside her. "Has he hit his head?" As he reached out to touch him Clifton sprang up and grabbed him by the throat. The force of their struggle sent them both backwards. Eden screamed with the girls joining in. Rain blurred Eden's vision as the two men wrestled furiously. Her senses recoiled at the violence, the grunts and swearing, the girls crying, the roar of the river and the non-stop rain pounding on her head. She wanted to get up, to protest, to stop them fighting, but the weight of her wet skirts kept her down, her spirit struggling in a battle of its own. "Mam!" Josephine clung to Eden's arm with Lillie sobbing on the other side, but Eden couldn't think, couldn't act, as Nathan punched Clifton on the chin before Clifton sprang back and knocked him against a tree with a groan. On and on they went, and suddenly Eden was aware of how close they were to the riverbank. She struggled to her feet and faced the girls, shaking them so they'd focus on her. "Run home. Do you hear me?" Josephine's eyes widened even further. "No--"
"Do it!" Eden took Lillie's cold wet hand and thrust it into Josephine's. "Take your sister home. Get into the wood. You know the way. Get into the cottage and put the door bolt through." "Go!" Eden pushed them both in the back, stumbling the girls forward. "Run!" she screamed at them. She watched them for a moment, waiting until the shadowy wood swallowed their little bodies. The wood would protect them, they knew it as well as she did. She'd taught them every path, feature and tree. A grunt brought her whirling back to the brawl. Clifton, on his knees swayed before Nathan, who brought back his fist and then let another blow connect with Clifton's face. The crunch of flesh on bone, made Eden retch. She staggered forward. "Nathan…enough…"
Clifton shook his head like a wet ragged dog, squinted at her and smiled a bloody smile. Using a tree as a support, he hitched himself upright and leant there, breathing heavy. Nathan coughed, dragging great gulps of air into his lungs. He held out a hand for Eden and she ran towards it. "No. I'll not have it." Clifton thrust away from the tree and made last attempt at knocking Nathan down. The momentum took both men back onto the edge of the slippery bank. The more they tried to get a better footing the more they slipped down. Nathan slid on hands and feet down into the water. He grabbed at Clifton, who lay on his stomach clasping handfuls of grass, trying to get a solid hold. Throwing herself onto her knees, Eden reached down for Nathan but he was sinking in the thick mud, the water lapping at him. "Nathan!" "Eden." Clifton waved a free hand at her. "Help me." She ignored him, moving away from where he lay, so he couldn't grab her. "Nathan, down this way." She called over the rage of the frothing water. The thick mud sucked at Nathan's boot. He was only knee deep but stuck fast. "Unlace your boots, forget them." Eden inched closer to the edge. She was aware of Clifton managing to slowly crawl up the bank, slithering and sliding with each bit of ground he covered. The rain came down in sheets, blurring the landscape, reducing visibility. "I'm free, Eden." Nathan looked up, triumphant, and at that moment, the blood ran cold in her body, for behind him, surging down the raging river was a large mass of flotsam; trees, bushes and logs, all tangled up like a giant bird's nest. "Nathan!" She scrambled to her feet, pulling out her wet skirts that wrapped around her legs, tripping her. "Nathan, get up on the bank. Quickly." She pointed to the threat bearing down on him. "Hurry, God, hurry." The fear in her voice made him turn to face the hazard, he stepped back, fell and scrambled up again, but the river knew no mercy. The menace bore down on him, bouncing from bank to bank before it struck him in the chest and then sucked him along with it. The swirling, murky water carried him away, tossing him like a cork in a barrel. WOODLAND DAUGHTER is available from Amazon.UK and also from The Book Depository, which has free worldwide delivery. Hello! Jennifer Mueller sent along this article featured on the BBC about Harlequin Mills & Boon's 100th anniversary celebration. Check it out. Lisa Marie Wilkinson's latest WIP, "Forget Me Not," is a finalist in the published division of the RWA Heart of the West contest. Congrats, Lisa Marie! Charter Oak Romance Writers will be offering Anna Bowling's online workshop, "From Fan Fiction To Fantastic Fiction: Use the Media You Love To Create Stories Readers Can't Resist," in the month of September. All are welcome. Course fee $10/$15. For more info or to register, click here. Course Description: Learn to use fan fiction techniques to create original stories and characters without having to look over your shoulder for copyright lawyers. Let favorite movies, television or music inspire your own creativity, put your own spin on archetypes and themes we all know and love and avoid the dreaded Mary Sue along the way. Join us Sunday when Anne Whitfield, one of our long-time contributors, will discuss WOODLAND DAUGHTER, her newest historical fiction hardcover. We'll also draw the winner of one of Jeannine van Eperen's newest releases. Leave a comment for your shot at winning. Not all weapons that won the Old West for the East Coast immigrants were firearms. Technology won the west. And yes, firearms were an important part of it. Here are thirteen technological weapons without which settling the West would have been much more difficult. On the 17th of December, 1903, Orville Wright flew an airplane 120 and the history of motorized flight began. Men had been yearning to fly for thousands of years and the Wright brothers had made it a fact. What's really amazing is that within the next ten years, flight took on a life of its own. In its early years, flying was considered a sport for extreme risk-takers and was considered unethical to use for war. The shooting or dropping of bombs from the air was considered immoral and illegal. This soon changed. The French were the first to develop an air force, but it was only used for spying and reconnaissance and the planes were not equipped with weapons of any sort. There have been stories of enemy recon planes passing each other and merely exchanging grins and waves. This soon escalated into rivals tossing bricks, grenades and rope (in an attempt to tangle it in the propeller) at each other Though still not equipped with on board weapons, the first dogfight took place between a German and a British plane, the pilots shooting at each other using conventional pistols. The first downed plane as the result of a dogfight was when a Russian pilot rammed another plane, the Russian died in the attack. Germany quickly came out on top in the air wars. Despite having a much smaller air force, they frequently defeated their enemies, sometimes being outnumbered as much as eight to one. They came up with many innovations, such as painting their crafts with luminescent paint to protect against collisions during night bombing raids and developing a timer on their front-mounted machine guns to prevent the bullets from hitting the propeller when firing. They also had one of the most famous pilots in history on their roster, Manfred von Richthofen, better known as The Red Baron of Peanuts fame. He's credited with shooting down 80 Allied planes before being shot down himself. His abilities were so respected that, at his death, the enemy even held a memorial service for him. From being considered immoral and unethical at the beginning of the war, these Knights of the Sky soon became revered and respected for their abilities, resourcefulness and bravery. In those days, it was simply brave to even fly in an airplane, since parachutes were not standard issue equipment for pilots during World War One, when your plane went down, you had no choice, you went with it. After the war, pilots were at loose ends. They'd experienced the thrill and freedom of the air and had a hard time going back to the staid stability of civilian life. With commercial air travel only just emerging, there were few jobs for pilots in peacetime 1920s. Unwilling to give up life in the sky, many pilots bought surplus warplanes rather cheaply and began life as barnstormers, an exciting topic for a future post. Before 1793, China had a relaxed, complacent attitude toward their mellow pirates, when an imperial junk could easily round them up or scare them off. The Emperor declared, "In Kwangtung there are no urgent affairs...the pirates have gradually withdrawn and not a trace of them remains." Such sanguinity of mood was abruptly changed with the organization of large fleets that overwhelmed the coasts for more than a decade and became the biggest maritime menace since the conquest of Taiwan and the suppression of Koxinga more than a decade earlier. Kwangtung province was the hotbed of piracy, where 50,000 to 70,000 pirates took charge of fishing and coastal trade. They moved into interior waterways, extorting payments from towns, burning those who wouldn't pay. They nearly brought about the demise of all Kwantung trade by dissolving communication between Canton and Macao, causing runaway inflation, and bottoming out the foreign market. In a decade, the radical escalation of piracy from the Han River basin reaching into Vietnam had transformed from a trivial annoyance into an international peril. Most pirates began as fishermen or sailors themselves, unmarried Cantonese-speaking "water people" who voluntarily adopted the vocation. The riparian geography and island chains made it easy for them to hide. There were few roads, so the denizens of the Cantonese water world could move with impunity in the complex network of creeks linking hamlets, villages, and towns. The pirate junks seemed as though floating on green waves through the watery rice plains, much to the terror of those farmers who viewed them. "Now, them ricemen, you've seen how they comport themselves. They's not exactly high flown themselves. Why, Wenkai's men mix their putrid gunpowder--much less sparky than ours, and given to failing to ignite--into their beverages! Makes 'em choke and turn red, and they think it looks bluff. We used to see the outcomes of their raids, aye. The 'Black Squadrons' would raid villages, Miss, not just other vessels, and take harmless old women with their feet wrapped so tight they had to be dragged, plundered their sorry old fishtanks and gardens. Can't tell you how many of them prisoners we set free when we'd gain a junk as a prize. No, Cap'n Balásházy's more like the kind pirates of the Île Sainte-Marie, back in the glory days. Not one on his crew as wants to leave." The average prizes were the cargoes of the two-masted sea-going hai-ch'uan junks, transporting lumber, charcoal, cotton, silk, and barnyard animals. Late eighteenth and early nineteenth century was the height of the "Straits' produce" monopoly--rattan, seaweed, and pepper, the pirates' bread and butter. Adding to the confusion were Portuguese missionaries, men actually mostly interested in trade, then British, Swedish, French, German, and American ships. Canton being the sole port through which European trade was allowed, a wild mishmash of vessels clogged the waterways, trading the grand prizes of salt, knives, cotton, cattle--such a torrent of items Western handbooks could only mention a few. These ricemen operated undetected from the gun-slinging frontier headquarters of Chiang-p'ing, the Sino-Vietnamese equivalent of Jean Lafitte's Barataria, the markets overflowing with pirate produce. Aside from sailors and fishermen, Chiang-p'ing attracted scores of urban misfits and criminals who populated the gambling parlors, opium dens, and floating bordellos. They brandished simple weapons: knives, bamboo pikes, and cutting blades. It was easy to outfit an expedition when the employees were completely familiar with every sandbar, hidden rock, and tide. They struck with guerrilla swift blows, retreating before the shocked victims realized what was happening. "Celestine mines?" Bellingham gaped. Half-standing, he waved a cautioning hand in the direction of the kitchen. "Miss, your brother can't go up there, not with these bilgey ricemen jaunting about the island! Why, they've got those swords what are sharpened on both sides, and even the lubberly junkmen give what they call ling chih. I didn't tell you this before so as not to scare you, that's 'death by a thousand cuts,' where they slice off one part of your body at a time, say a nose or a finger, and--"
By 1801, Tay-son sponsorship radically boosted piratical battle skills, and they learned how to wield weapons and make stands at sea. These pirates now had plans, joined forces, and sailed each spring from Kwangtung, returning each autumn to Vietnam, coordinating with shore bandits. Suddenly they were elevated from "scum of the sea" to "sailors in the King's navy, "receiving rank, honor, and recognition, many pirates holding titles such as "King of the Eastern Seas" or "King Who Pacifies the Waves." The desperadoes of Chiang-p'ing became the mariners of Tonkin, and they set to building "great war junks to transport Vietnamese war elephants to Canton." The monumental pirate junks had masts more than 80 feet tall, and sides armored with layers of ox-hide to repel shot and spears, and nets to prevent boarders. Hearty vessels that mounted 30 cannon or more, these ironwood ships ran more than 150 feet in length and could carry up to 400 men. They seemed to Westerners to be "rudely constructed" and most comparable to American schooners or Portuguese brigs and snows, two-masted ships or less than 200 tons. The captain and his often 6 wives (aggressive pirate women with unbound feet who sometimes held rank and commanded their own junks) occupied the poop, and the rest of the crew crammed into cargo holds under the main deck, odoriferous, dark, and stuffy "cabins" divided only by feeble screens. Once they targeted their victims, the pirates surprised with cutlasses slung over their shoulders and knives sheathed under their arms. If thwarted from directly boarding, they'd plunge into the water to attack from the sea. Resisters were rewarded most commonly by being stripped, hands tied behind their backs, hoisted above the deck, and beaten with twisted rattan rods. The junk had evidently remasted with the assistance of the friendly Frogs in the Île Sainte-Marie, but it was the usual yang-ch'uan ocean-going junk with guns that were mounted by a rope rove through a hole in the gunwale and made fast to the muzzle of the gun, stationery rigs with no train tackle to allow room for reloading. Since most could not be maneuvered at all, the Kwangtungmen were compelled to position their junks with the enemy in their sights. By the time Broadhecker had hove into view and let loose with his bow guns, mauling the junk square amidships, the best the junkmen could do was elevate their guns. These were guns of the roughly cast pai-tzu turtledove type, badly made and smelted from scrap iron, so disgracefully inaccurate the junk was only able to get off a volley of nails and iron pot fragments that roundly hit a mark--a gaggle of ducks in the center of the bay. Their small arms included the Chinese blunderbuss. With a barrel seven feet long and weighing 12 pounds, it had to be steadied on someone's shoulder or mounted on a tripod. (Much less likely to burst than other period small arms, it was still used in China in 1945.) They also possessed a medley of old matchlocks and fowling pieces of which they knew little, sometimes capturing Westerners simply in order to learn their usage. The worst were the matchlocks, fired by holding a slow-burning cord over the hole, or the small caliber muskets ("wretched things") with touch holes large enough to admit a tenpenny nail. In the end, Chinese pirates relied mostly on hand-to-hand combat, hurling bamboo pikes like javelins, or fighting with shorter pikes and knives. Of gunpowder and shot they had plenty, carelessly strewn about deck in huge chests where they sat to smoke. Contact Marguerite to give her your address. The book must be claimed by next Sunday or another winner will be drawn. Please stop back later to let us know what you thought of her book! Congratulations! This week, we welcome the return of Jeannine van Eperen as she celebrates the release of two new books: WYDECOMBE MANOR and YOU CAN BANK ON IT. Free-spirited eighteen-year-old Mae Carter, has a thing for race cars drivers. Sardonic divorcee Julie McDougal was burned once in love and now shies away from commitments. Work-weary Holly Unbanski has a husband who isn't able to provide for her and their son. Prim, religious Rose Schultz prays daily for a man to come into her dull life. These are a few of those underpaid women who toil daily at the Duke City National Bank in 1955. Each hopes for a better life, and each has her own story. Can star-crossed lovers from another time, undo the heartbreak and tragedy of their past? Does a love so true never die? Or is it just a fantasy played out between two people whose genes were passed down with infinitesimal remembrances of their ancestors' lives? It is as if lightning strikes when Elizabeth sees Jonathan and a blazing flame arises, though the fire keeps the blood simmering, do time lines and loves blur into another realm and can a love denied be allowed to come to fruition? Grays believed in love for eternity, but was denied the woman he chose. Thank you, Jeannine, for joining us at Unusual Historicals once more. When you were last here, we talked about your historical adventure/romance DAUGHTER OF SPAIN. Yes, we did speak of DAUGHTER OF SPAIN. That story was set in the early 1600s in Spain, the Canary Islands, Mexico, as well as the prime location of the New Mexico Territory, the settling of Santa Fe, New Mexico. Not only is Santa Fe a scenic location, it is also the oldest capital in the United States. In my book, the hero and heroine were outcasts of Spain settled near the capital. I'm very proud of DAUGHTER OF SPAIN as it is the book of my heart. I lived in New Mexico for a long time and truly love the state. I understand you now have another book set in New Mexico. Tell me a little about that story. YOU CAN BANK ON IT, published by Wings in June, 2008, is set in Albuquerque, New Mexico, during the 1950s. At that time Albuquerque was one of the fastest growing cities in the United States. This story is general fiction about women who are employees of the Duke City National Bank. Most women during that time stayed home to raise their children and cater to their husbands. Magazines stressed "Togetherness of husband and wife," but there were other women who found they had to help support the family. There were, also, the as yet unmarried, who marked time at work waiting for Mr. Right. Women didn't and couldn't aspire to be bank managers or presidents; that was the domain of men. The main characters of YOU CAN BANK ON IT are fun-loving Mae Carter, who works passing time until the day she marries and she is almost always in love and rather promiscuous for the time; Julie McDougal, at twenty-three is a divorcee with the small son. Julie was burned in romance and is sardonic regarding men. Holly Urbanski is a placid woman who has turned out to the be main breadwinner, supporting her husband, Ed, and their son. Rose Schultz is in her late-thirties and at that time thought to be an old-maid. She prays every night to find a man who will love her. Vivacious Carlotta Garcia is happily married but is distressed because after ten years of marriage she has only three children, all sons. She yearns for a daughter. The bank's best kept secret lays with Ida Costello, who manages the bookkeeping department. The lives of these women (and more) as well as their men are woven together to present a very real look at the working world and life in the 1950s in an average American town. You also have another very different book from YOU CAN BANK ON IT recently published, too, don't you, Jeannine? WYDECOMBE MANOR was published July 15 by Whiskey Creek Press. This book is both a contemporary and an historical romance. When Elizabeth and Jonathan first see each other, quite by accident, something happens. Another lifetime in 1494 begins to insert itself into the present. Grays and Lizbeth were very much in love, but their love was denied them. Elizabeth and Jonathan aren't sure what is happening, but somehow everything seems to be connected to the old mansion high above the sea that Jonathan through an odd twist of fate inherits. WYDECOMBE MANOR takes place in Cornwall, England. With this book, the setting chose me. I was travelling in Cornwall with my husband and our friends from England. I looked up and saw this magnificent large dwelling and I knew the house had a story to tell. I had no idea what kind of story until I sat down at my computer and started to type. Do you mean you didn't know that WYDECOMBE MANOR would incorporate two love stories? That is exactly what I mean. In the book the present couple felt like a fusion of some sort occurred, and the same must have happened to me. I was writing this contemporary and all-of-a-sudden I was deep into a historical. At least I landed in an era with which I was familiar. I've always been fascinated with the Richard III times and his life. Though Richard III has little to do with the story, I knew the background of the times well. Do you have any other unusual historical in the works? Yes, ROSE OF THE RIO GRANDE set during the Great Depression in a small New Mexico community will be published by Wings ePress in November. This is a G-rated romance, set in a tiny mountain village. Rose leaves Chicago to take the only employment she can find, that of teaching in a small church-run school. Rose’s father had died of a heart attack after losing all the family's money when the stock market crashed ushering in the Great Depression. Rose had finished her teacher training, but there were no jobs to be found, until fate takes a hand and sends her to New Mexico where the people weren't expecting Rose but a Ross. Rose wasn't about to be sent packing back to Chicago. She dug in her heels and hung onto her job, and wound up with much more than she ever expected. Are there any places where a reader can find a synopsis and/or first chapter of your books? Glad you asked that. My web page tells a little of each book that I've written and WYDECOMBE MANOR is my twentieth published book. YOU CAN BANK OF IT is number nineteen published. However, my books aren't published in the order written, except for WYDECOMBE MANOR, it was the last written and so far the last published. My web page is here. It consists of several pages and one can double click on my photo and it takes one to the next page. A reader can also go to my author's page of Wings ePress or at Whiskey Creek. You can reach my pages at the publishers by clicking onto the book covers on my web page, too. Thank you for inviting me back to Unusual Historicals. It is always an honor to do an interview with you. Would you like a copy of either YOU CAN BANK ON IT or WYDECOMBE MANOR? Leave a comment or question for Jeannine and you'll be entered in a drawing for a free copy, your choice. You can until next Sunday when I'll draw a winner. Good luck! Carrie Lofty, freshly returned from Nationals, is giving away a prize package of nine historical romances, some of which have been signed by their authors. How to win? Make up a story as to why these books need to belong to you. Crazy fiction encouraged! Deadline: Wednesday. Carrie is also featured in this month's newsletter for Medieval Novels.Com. It's their special Robin Hood edition! News from Nationals is incredibly positive, with some predicting that historicals will overtake paranormals in sales by the end of 2009. And more and more people are expressing an interest in historicals set in unusual times and places, even more traditional houses like Avon. We're ahead of the curve, ladies! Keep up the good work. Elizabeth Lane is going to be involved in a 2009 Christmas anthology, providing a western for Harlequin Historicals. She also received the cover for her newest western, THE BORROWED BRIDE, set in 1900. Gorgeous! Carol Spradling has been asked by The Wild Rose Press to be part of a 2009 Christmas anthology of stories set before 1900. Congratulations, Carol! Bonnie Vanak has sold two more Nocturne werewolf paranormals, along with a Nocturne Bite, an ebook novella. She also received the cover for the German release of THE PANTHER & THE PYRAMID and her newest Nocturne, ENEMY LOVER. Erastes has received two great reviews. The first, for "Hard and Fast" from SPEAK ITS NAME, is from Book Utopia Mom. She said it "thoroughly and utterly enchanted me." The second, for "Chiaroscuro" from Night Moves, is from Erotica Revealed, which declared, "The bejewelled writing style perfectly suits the period and the plot." Michelle Styles has been busy too. Her novel VIKING WARRIOR, UNWILLING WIFE received a great review from Medieval Book Reviews, calling it the "perfect combination of highly-charged tension and tender intimate moments amidst the political maneuverings of outside forces." Michelle's September release, AN IMPULSIVE DEBUTANTE, is now available on the newly revamped Mills & Boon website. Anne Whitfield's newest release, WOODLAND DAUGHTER, is now available from Amazon.UK. Anne writes of this story, "This is the first book I've written set in the early Edwardian era of England and I thoroughly enjoyed writing it. Another 'first' for me is writing a book where the heroine is married and a mother at the start of the book, that made a wonderful change for me." Congratulations! Join us Sunday when Jeannine van Eperen, author of DAUGHTER OF SPAIN, will return to discuss and give away a free copy of YOU CAN BANK ON IT, set in Albuquerque in the 1950s. We'll also draw the winners of Marguerite Arotin's ONE ENCHANTED SUMMER. Leave a comment for your shot at winning.